Witmarsum is the headquarters of the commune called Wonseradeel. It is 21 kilometres north-west of Sneek and 18 kilometres south-south-east of Harlingen. 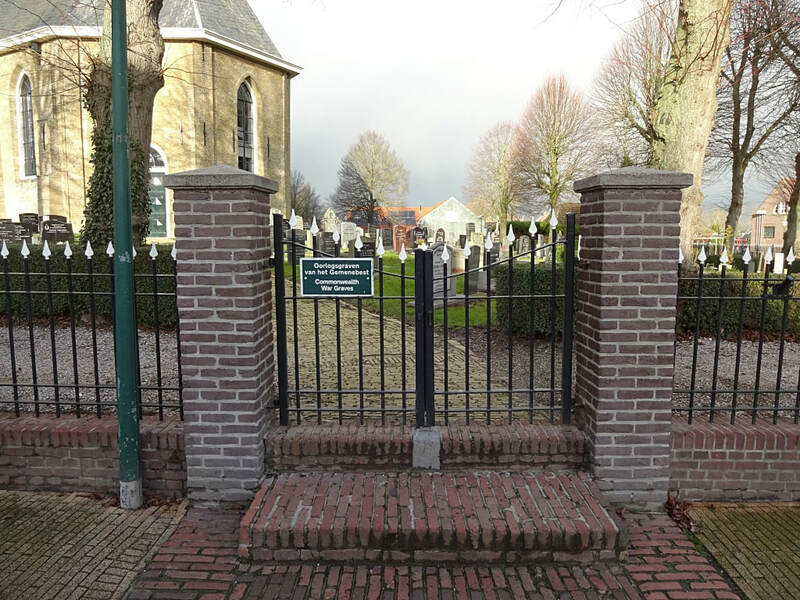 The protestant churchyard surrounds the church, which is in the centre of the village. 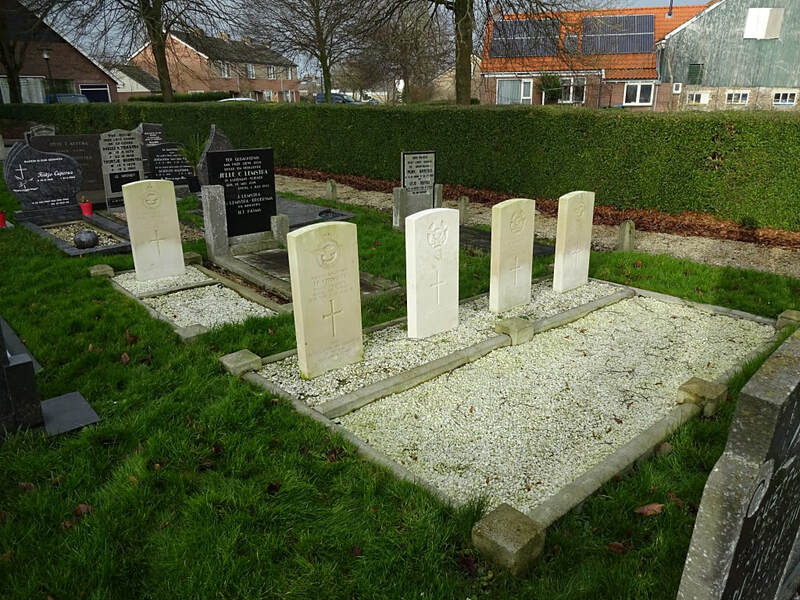 In its north-eastern part are the graves of 5 airmen; 3 from the United Kingdom and 1 each from Canada and Australia. 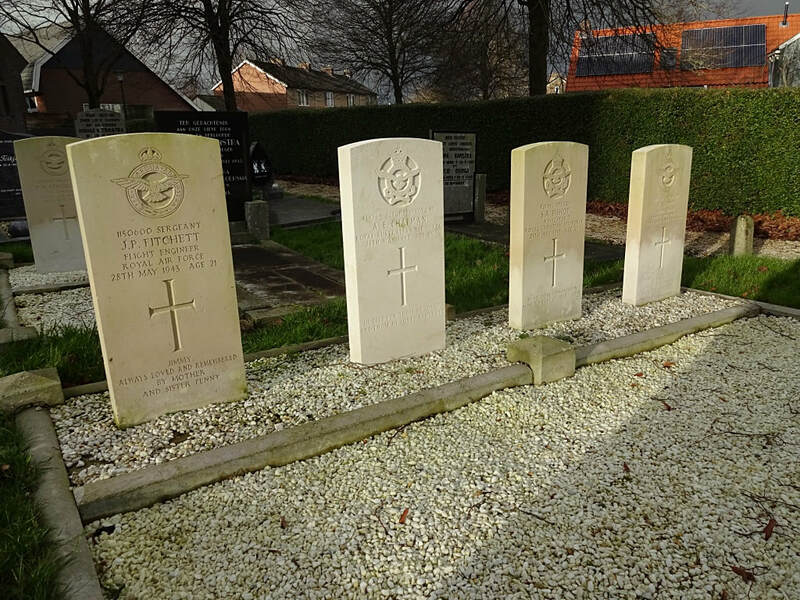 J/13118 Flying Officer Stanley Adolfson, Navigator in 100 Squadron, Royal Canadian Air Force, died 28th May 1943, aged 26. 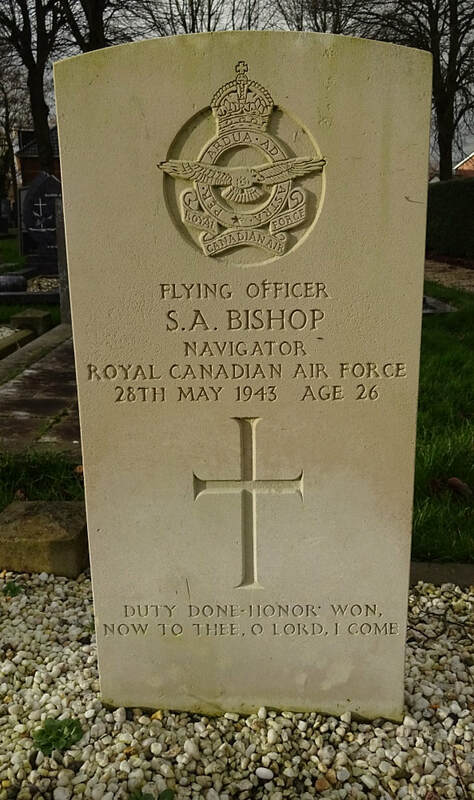 Son of Montague Victor and Anna Bishop, of Montreal, Province of Quebec, Canada. 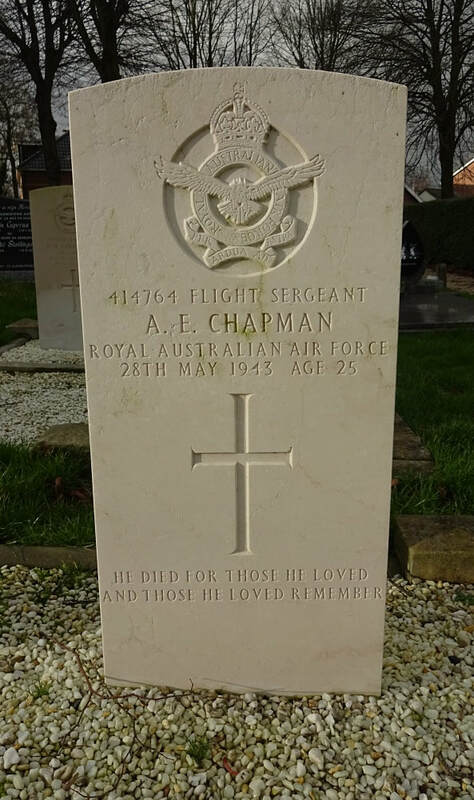 414764 Flight Sergeant Arthur Edward Chapman, Royal Australian Air Force, died 28th May 1943, aged 25. Son of Wilfred Knight Chapman and Alma Chapman, of Ashgrove, Queensland, Australia. 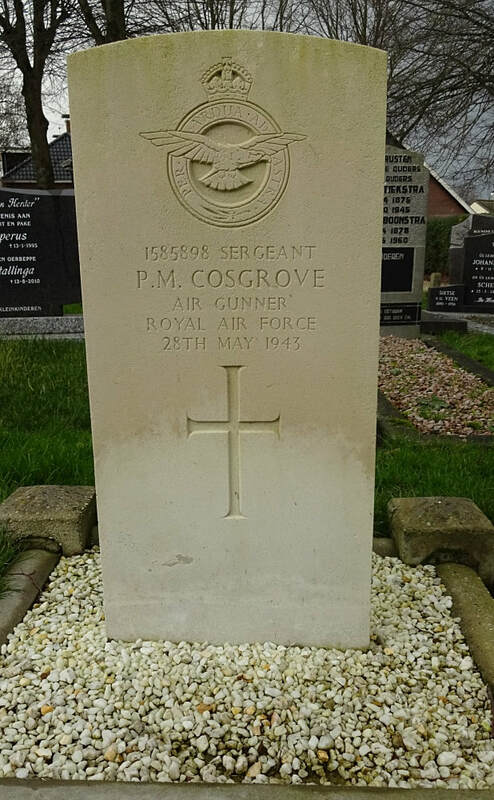 1585898 Sergeant Peter Michael Cosgrove, Air Gunner in 100 Squadron, Royal Air Force Volunteer Reserve, died 28th May 1943. 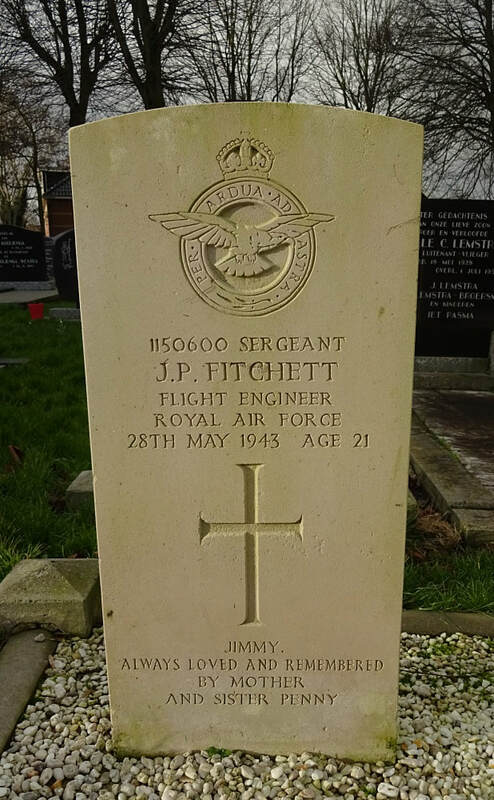 1150600 Sergeant James Parker Fitchett, Flight Engineer in 100 Squadron, Royal Air Force Volunteer Reserve, died 28th May 1943, aged 21. 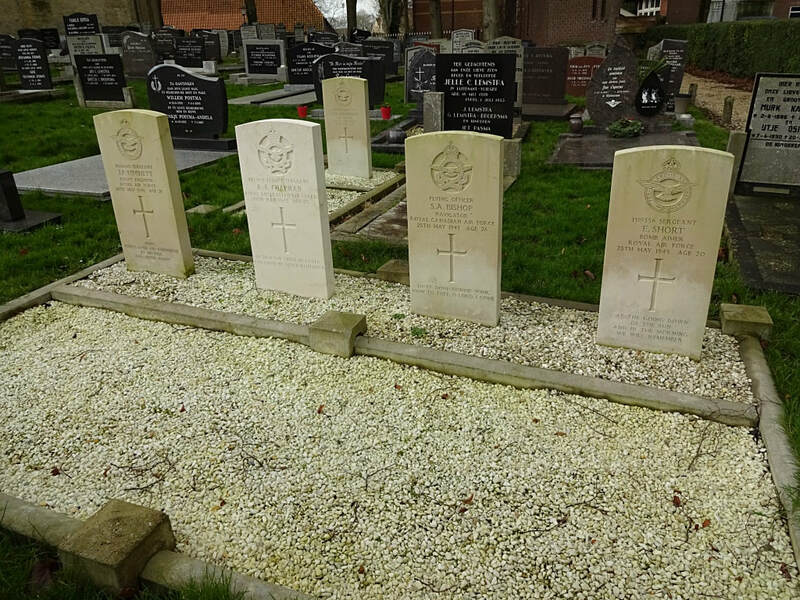 Son of William Fielding Fitchett and Hilda Fitchett, of Harborne, Birmingham. 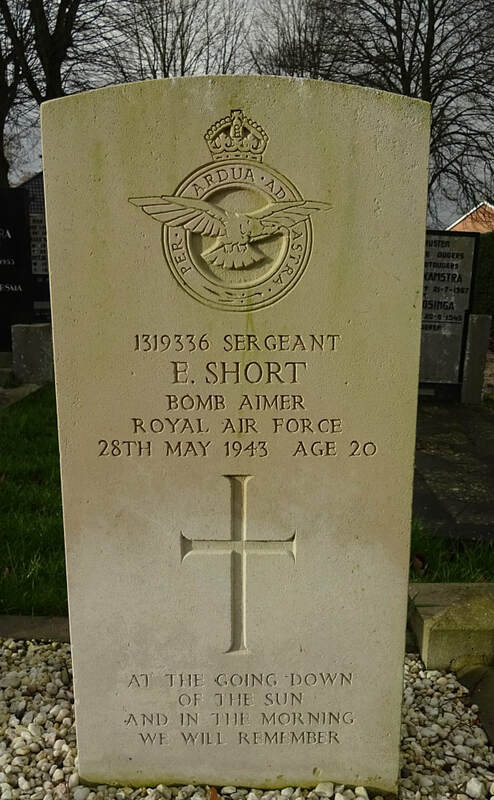 1319336 Sergeant Eric Short, Bomb Aimer in 100 Squadron, Royal Air Force Volunteer Reserve, died 28th May 1943, aged 20. Son of Bertie Charles and Mabel Edith Short, of Epsom, Surrey.